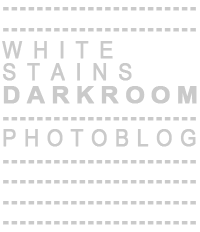 White Stains Darkroom: 263. "Nihil Sine Labore"
A trick of the light. Halden, Norway. July 2016.